yep thats me. I was told by someone working with the club I could post it. Take the piss and whatever but I can only go off what I was told. Oh god I just realised. I have some explaining. So that was on my Instagram and someone's obviously now put that on Twitter. Taurus can you tell me who gave that to you off Twitter? As with all these rumours I won't believe it until I see him smiling next to Tsatsimas or holding up the red and black. Was it a dm or is it there for everyone to see? plus its my property so shouldn't I have a right to know? You posted it on the internet, it is no longer yours. Ok but if i was told by a person working at the club I don't see what the issue is considering they told me to post it? Oh just found out who sent it, it was it was my good mate which im now going to scream at. If they told you to post an unsubstantiated rumour on the internet, and people choose to take it as truth/gospel, that's their business. TWP, I'm sure I speak in behalf of our supporters whan I say, whilst we're not holding our breath, we all hope it comes to fruition. 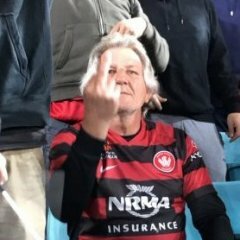 No-one is slating anyone here, there’s just a bit of fun being had regarding the continual false rumours all A-League clubs experience, especially ours! We’d all love him to come (unless he’s just wants a final holiday). Everyone needs to chill, BS signed another one year deal with his MLS club. These are the type of player (that fit the profile) that we need to attract to WSW. from memory Lewis Holtby is quite good, would probably tear it up in the A-League. Not sure he is at the age where he would think to come to the A-League though? According to wikipedia Holbty took a big pay cut and was only given a one year extension (ie, expires in July) as the club dropped into BL2. So he might be a decent target. He'd be replacing Treejack as they are both attacking midfielders. 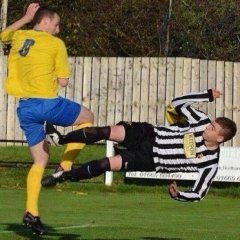 Above all else we need a beast defensive midfielder. Someone who will rip it up and lead by example. Is this the reason why we may be targeting Holtby? He’s probably fitting marquee quality. His wage is B2 won’t be fantastic. We could definitely lure him outside the cap. I saw Elvis eating butter chicken in the foodcourt at Marrickville metro yesterday. I'm gonna put it on my instagram story timeline, but don't tell anyone okies. It's just for us to know. Jedinak starts for Villa 0-3 before he is subbed. 3-3 at full time. Jedinak will be a free agent next season. Free agent or simply preparing for the standards of the A league? Could have went for Torres now in the j_league on $5 million. Swein would have been nice. Might be worth a shot at Demba Ba for around $5 million which is what we will need to spend if we want a world class player here. I call bs! Butter chicken? Maybe we should sign Billy Sharp instead. More like Butters lurking around footy hill.